CHARLOTTESVILLE, Va. -- Police charged a former Mason High School student accused in the beating of a black man at a white supremacist rally in Charlottesville, Virginia, according to the Charlottesville Police Department. Police charged Daniel Borden, 18, Thursday with malicious wounding weeks after after video and photos surfaced online showing several white men attacking 20-year-old Deandre Harris on Aug. 12 in a parking garage. Sgt. J. Via, with the Charlottesville Police Department, said on Aug. 15 police considered Borden a person of interest. Borden was arrested Friday, and he is currently being held at the Hamilton County Justice Center. Mike Robison, spokesperson for the Hamilton County Sheriff’s Office, said Charlottesville police will determine when Borden will be extradited. Greg Berberich, attorney for Borden's family, claimed Borden was charged "as a consequence of rioting caused by the City of Charlottesville's decision to allow (Black Lives Matter) and Antifah (sic) members to attack those protesting the removal of Robert E. Lee's statue from a local park." Berberich said Borden "was struck in the head and tear gassed multiple times" as he left the park. "Dan repeatedly requested protection from Charlottesville Police and was ignored," Berberich said. "We believe Dan will be exonerated." Social media activists shared images of the attack on Twitter and social media, asking members of the public to identify the men in the attack. The photos eventually spread to hundreds of thousands of people. Harris told WRAL in Raleigh, North Carolina that doctors used eight staples to seal his head together. He said the attackers also broke his wrist, chipped his tooth and busted his lip. Harris’ attorney, Lee Merritt, said on Aug. 17 he will file a civil personal injury lawsuit on behalf of Harris against Borden and others involved in the attack. The others will be listed as John Doe until police identify them, Merritt said. Merritt said his No. 1 goal is to identify all of the people involved in Hariss' attack. "We’re preparing ... a lawsuit not only against the men who attacked him, but the organizations who were responsible for it. And quite frankly, we’re looking at the role of law enforcement, to see if more could’ve been done to prevent this incident, to see if they share in this liability," Merritt said. Merritt also said he thinks the incident should be considered a hate crime. “I think if you don’t get a hate crime with this, there are very few cases that you could get a hate crime," Merritt said. Borden attended Mason High School through his junior year but did not return for his senior year, Mason City Schools spokeswoman Tracey Carson said. Mason Police Chief Todd Carter said Borden no longer lives in the city. A classmate at Mason Middle School told police in 2012 that Borden held a knife inches from his face, according to a police report. He also said Borden drew swastikas, called him "Jew Boy" because he had a big nose and claimed he belonged to a gang called Brothers of Confederacy, the report states. Another student said Borden said he was going to kill him because he wouldn't buy Borden a cookie, according to the report. Borden said he was joking. Mason Police Officer Joshua Wells said police charged Borden with possessing a deadly weapon in a school safety zone and aggravated menacing. Borden isn't the only Ohio man accused in an attack during Saturday's rally. Police said James Alex Fields Jr., 20, rammed his car into a crowd of counter-protesters earlier in the day, killing 32-year-old paralegal Heather Heyer and injuring 19 others. Fields recently moved to the Toledo, Ohio area but grew up in Northern Kentucky. Classmates and a former teacher said he openly embraced Nazi ideology. Fields has been charged with Jr. has been charged with second degree murder, five counts of malicious wounding, three counts of aggravated malicious wounding and one count of felony hit and run in relation to the incident. 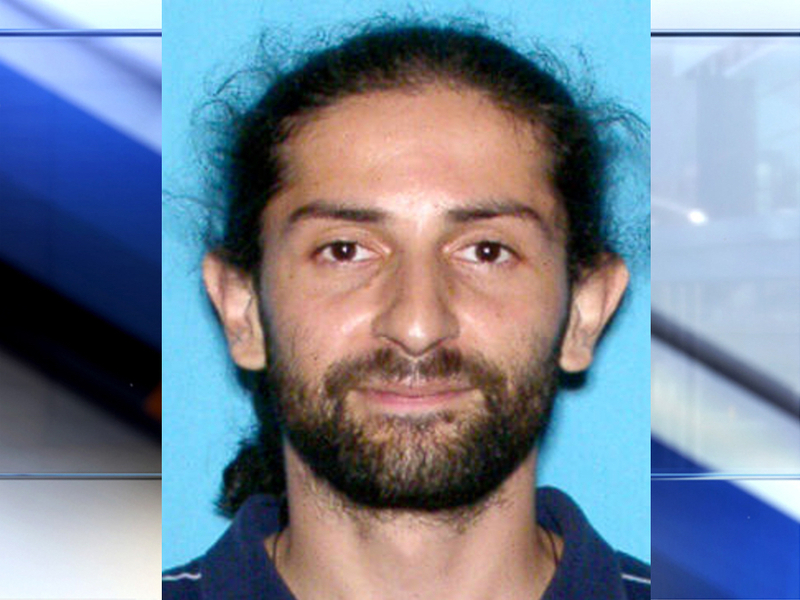 Charlottesville police are also looking for 33-year-old Alex Michael Ramos, of Marietta, Georgia. Ramos is wanted for malicious wounding in the same attack. Alex Ramos, 33, is wanted by Charlottesville police for malicious wounding. Charlottesville police have identified 35 victims, and investigators have reached out to each of them, police said. Additional charges are possible as the investigation continues. Anyone with information relevant to the events of Aug. 12 can email the Charlottesville Police Department at cvillerally@charlottesville.org.